Show gardens, a massive floral marquee, celebrity guests, plants to buy – and free entry into a neighbouring prestigious food and drink exhibition. What's not to like about BBC Gardeners' World Live 2018 at Birmingham NEC, June 14 – 17? 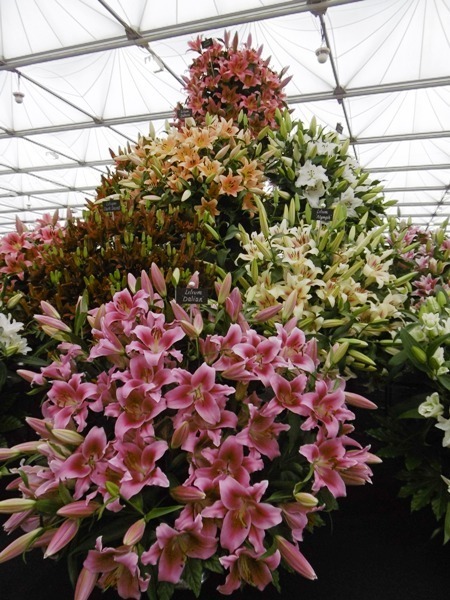 The show boasts one of the largest floral marquees at any UK flower or gardening show. 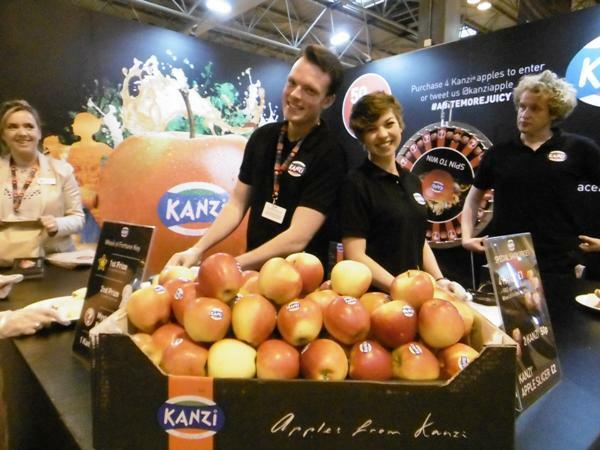 This year, the highlights include 89 specialist nurseries and growers, a talks and demo area hosted by Jim Buttress and one-to-one advice from The Plant Experts including The Guardian's Lucy Chamberlain and BBC Radio WM's Darren Rudge. A 4.5m high display of Garvinea, the Garden Gerbera Pyramid, will be at the centre of the marquee, with plants available to buy. 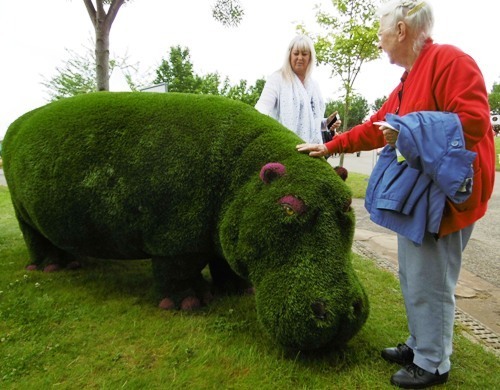 The show gardens are always a highlight of Gardeners' World Live. Steam train enthusiasts will want to head for the Made in Birmingham feature garden – making their way through a prize allotment and wildflower embankment to the signal box and up aboard The Eagle, a traditional Pullman Dining Carriage, positioned behind a working steam engine. The beautifully restored train, the first ever seen in a show garden, will have made its way to the show from the local Tyseley works. The garden further celebrates the industrial heritage of the Black Country with an impressive field of barley and hops to illustrate the region's brewing industry. Moving around the show gardens, visitors will be able to walk through the extensive Wyevale Garden Centres Solutions Garden designed by David Stevens, where each zone illustrates practical ways to deal with common garden problems, from soil types to dry shade and water conservation to weed control. Tesco's 'Every Little Helps' Garden, designed by Owen Morgan, is a family space with areas and activities for all ages. Elements that could be recreated at home include a Mediterranean-inspired border, a play area with den, a secret garden within a wildlife area, outdoor dining, a kitchen and bar area and space for growing tasty veg. Belvoir Castle and the rolling landscape created by Capability Brown has inspired Andy Tudbury to create Reflections on Belvoir, while A Mermaid's Tale, designed by Julie Haylock, tells the story of an isolated smuggler's cottage near to a secret cove on the Cornish coast. 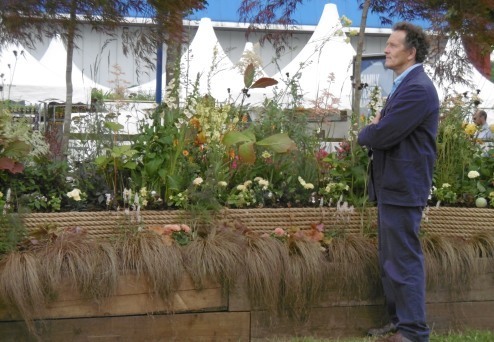 Celebrity gardener Diarmuid Gavin has designed two gardens for the show, with four young landscapers constructing them as part of the inaugural Young Landscapers Competition. 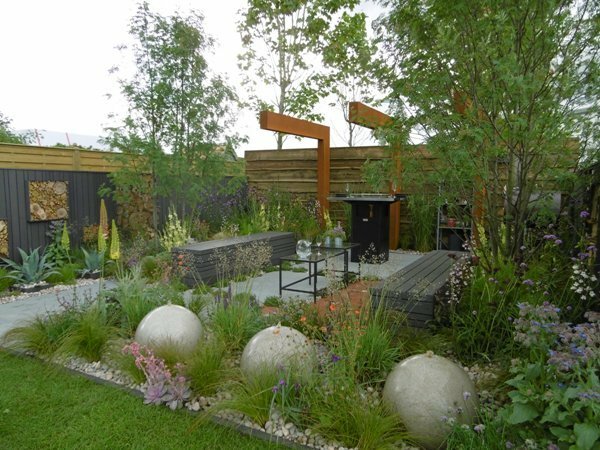 The Association of Professional Landscapers Avenue features five show gardens, designed and built by five landscaping companies, to demonstrate what can be achieved in a typical back garden. 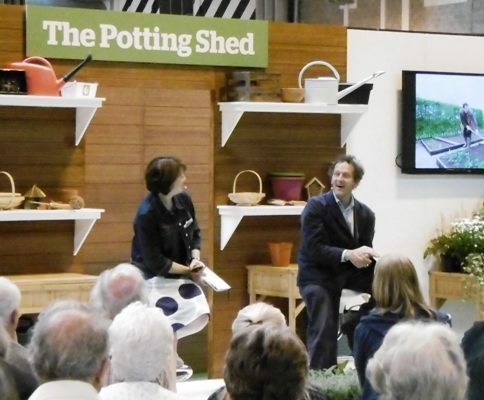 Well-known expert gardeners available to pass on their knowledge at the show include Monty Don, Alan Titchmarsh, Carol Klein, Adam Frost and Joe Swift. Gardeners' World regulars Frances Tophill, Nick Bailey, Mark Lane and Arit Anderson will also be around with hints and tips. Making her Gardeners' World Live debut this year is Annabelle Padwick, the brains behind the Life at No. 27 blog. She will share expert advice on the Gardeners Unplugged stage every day, as well as appearing on the Let's Talk Allotments stage and Tesco's Every Little Helps Garden. All aspects of gardening are covered – there's a new gardening exhibit, Blooming Interiors, featuring houseplants and floristry; the ever-popular 'grow your own' can be found in the Let's Talk Allotments area; ideas for small spaces are in the Beautiful Borders; and schoolchildren will be displaying their 'mealbarrows' – fruit and veg grown in wheelbarrows. A BBC Gardeners' World Live ticket allows free entry to the BBC Good Food Show Summer, taking place at the same time in an adjacent hall. A food and drink spectacular, it demonstrates that you can never have too many cooks in the kitchen. The line-up of chefs and experts cooking up fresh recipes on the numerous stages include Mary Berry, James Martin, Tom Kerridge, The Hairy Bikers, Raymond Blanc and Michel Roux Jnr. With loads of food to try and buy, it's a gourmet's dream.